Ha! How true is is how our iPhones and Androids have become our everythings. 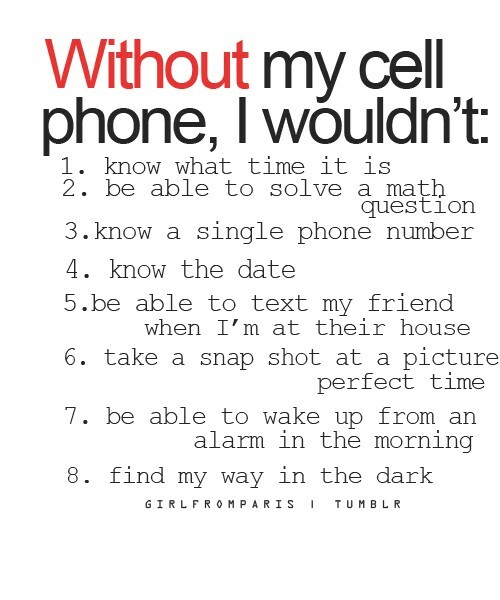 There are a few numbers that I have made myself remember after being stranded without a phone and not knowing what to do, but other than that – I really am not sure what I would do without my cell phone. If you have an Apple iPhone, make sure Find my iPhone is installed! Check out how to find a cheap wireless plan for kids. Watching from television and on the internet are the best options to follow the series and takes its updates at the news papers or radios.